With Montana belt buckles from Chick Elms, you’ll always stand out in the crowd. Add a little western attitude to your look—everyone will wonder where you got your exceptionally bold and unique style. From Montana Silversmiths, Rodeo Quincy, Whole Herd and L & B, we carry some of the top-rated western-style belt buckle brands that you need to stay on trend. 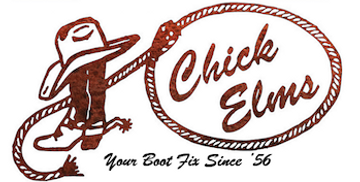 With superior-quality materials and fashionable styles, Chick Elms should be your one-stop shop for western-style belt buckles. Shop our selection below for the highest quality Montana belt buckles. If you have any questions, please free to contact us. We’re happy to help you add a little western style to your everyday look.